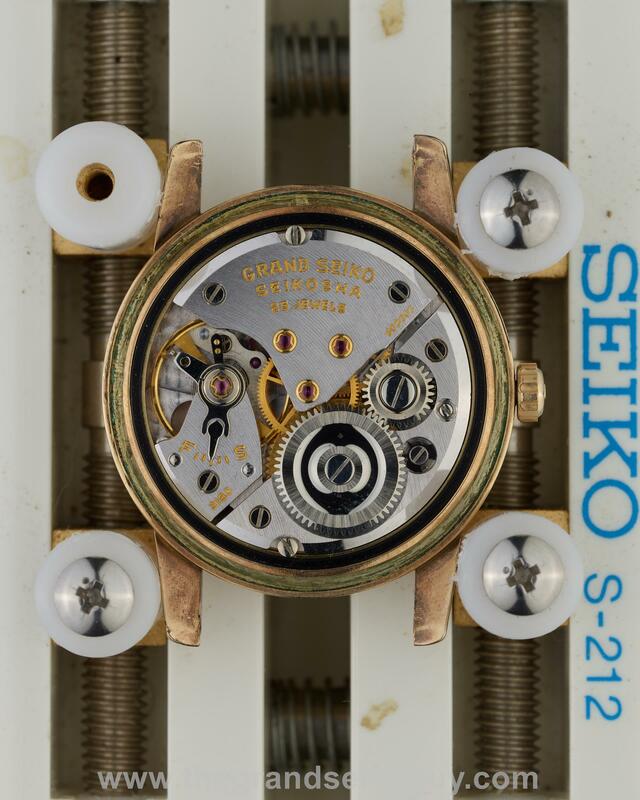 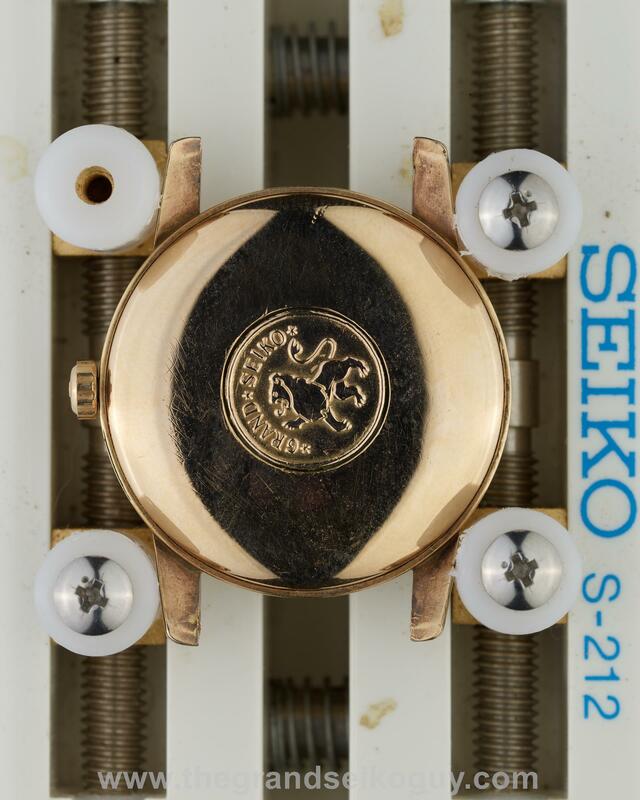 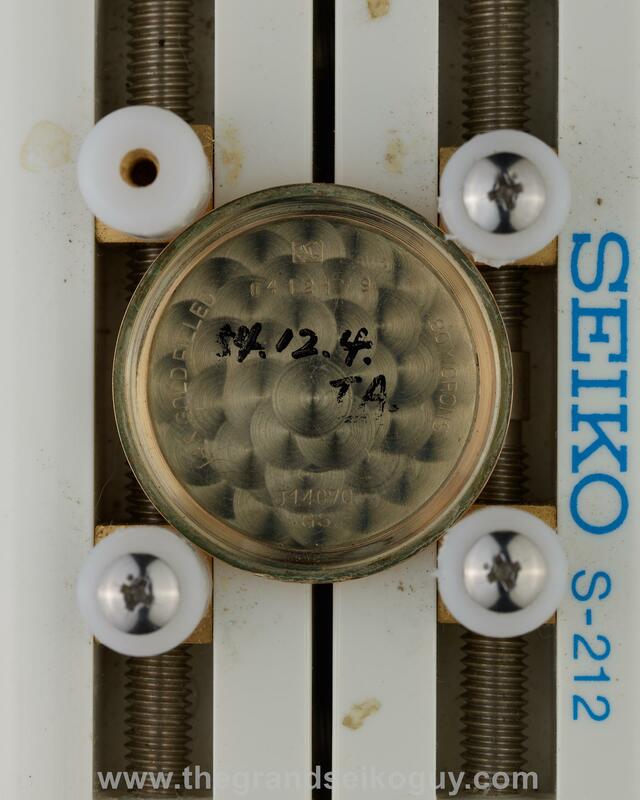 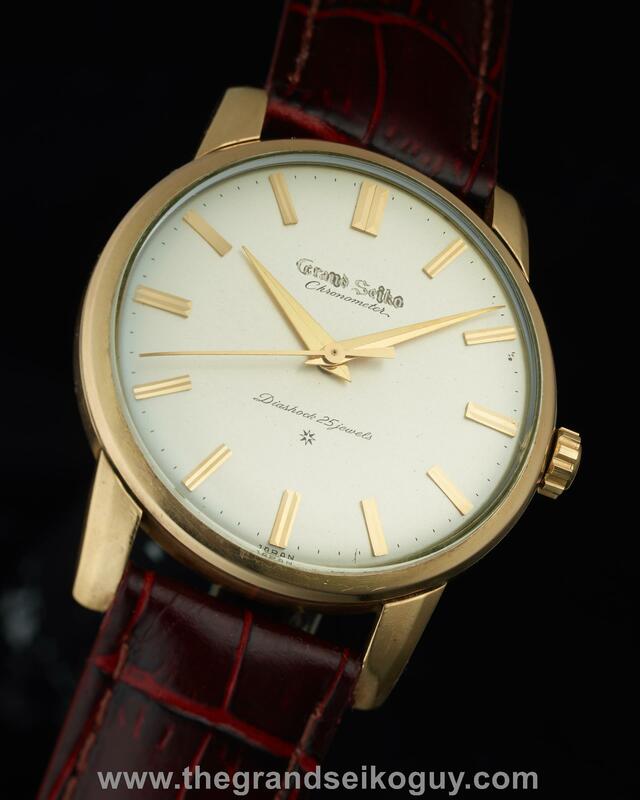 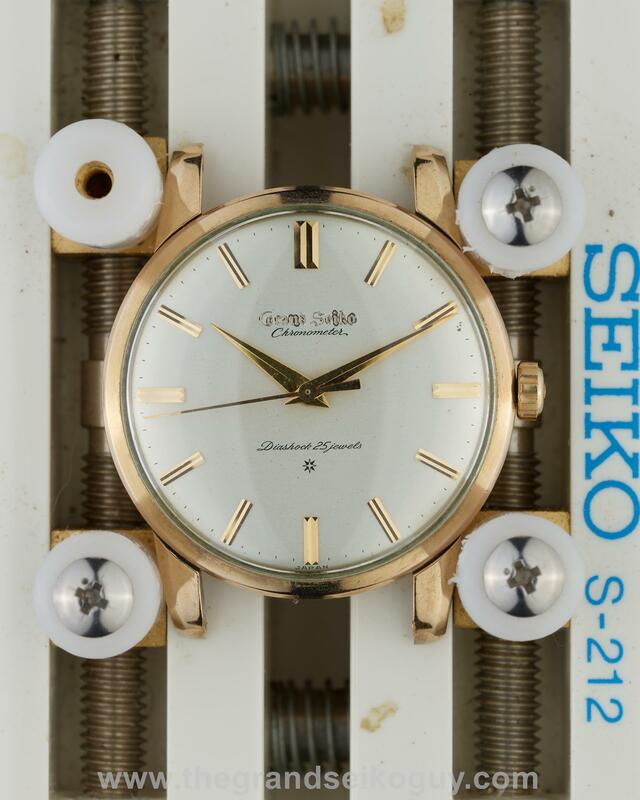 This is a very early example of the carved logo dial Grand Seiko First, with the index at 12 o’clock being like those found on the printed logo dial examples – it is comprised of two separate pieces placed together, referred to as the “split 12 index”. 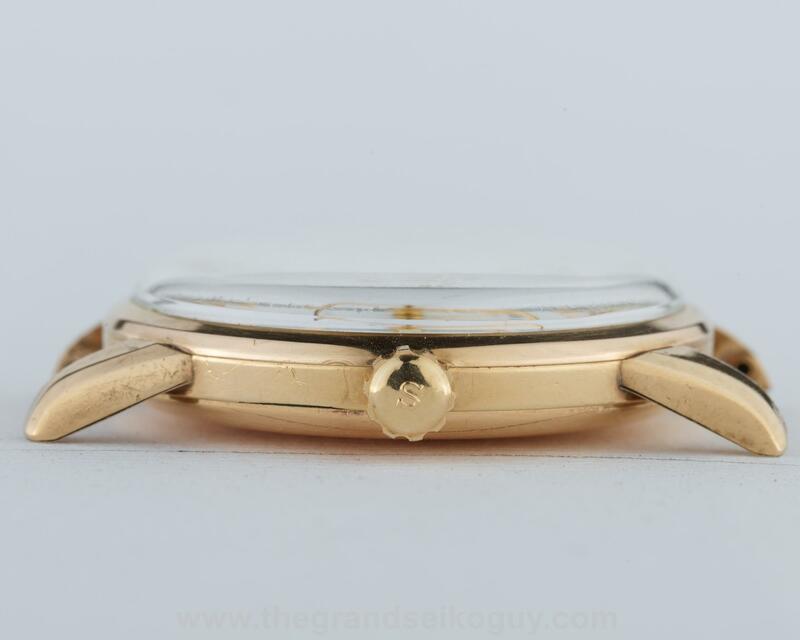 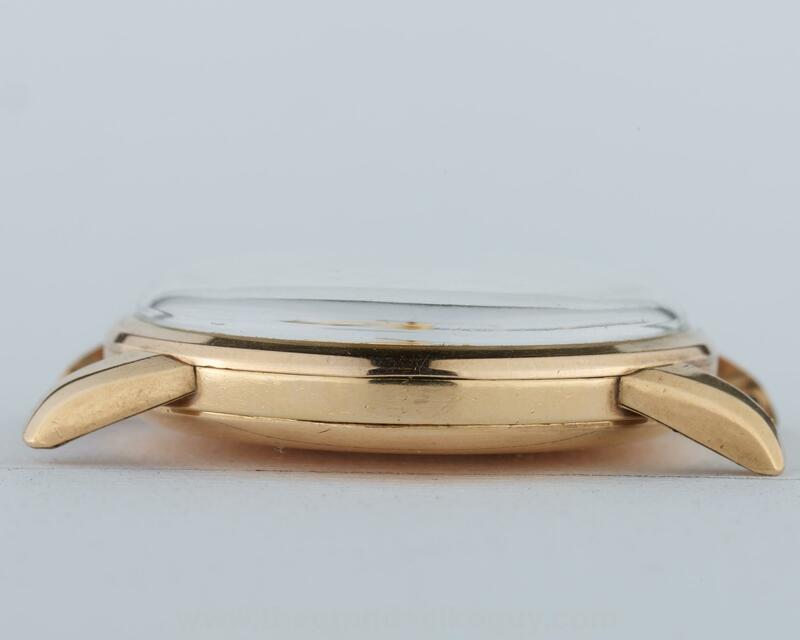 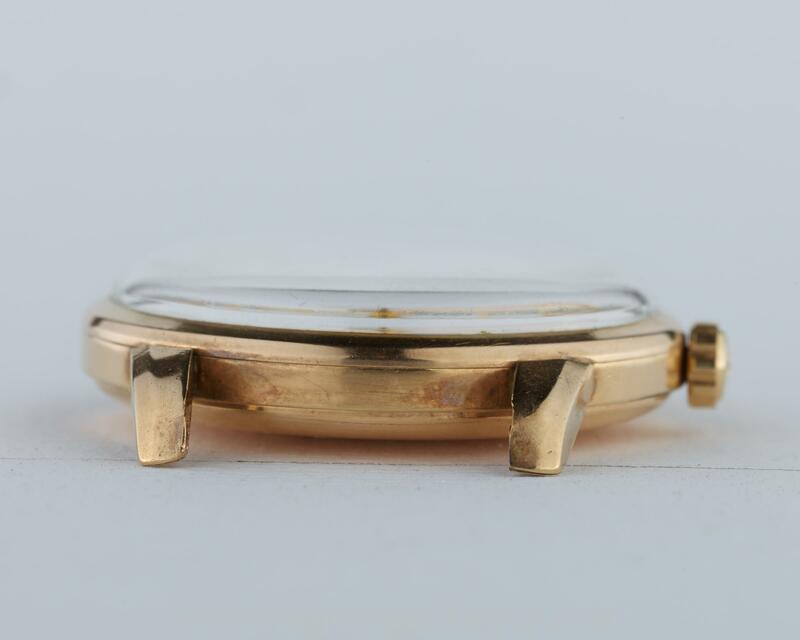 As would be expected on this earliest of carved dial variants, the serial number engraved on the inside of the case back indicates a manufacturing date of April 1960, along with an equally early movement number starting 603. 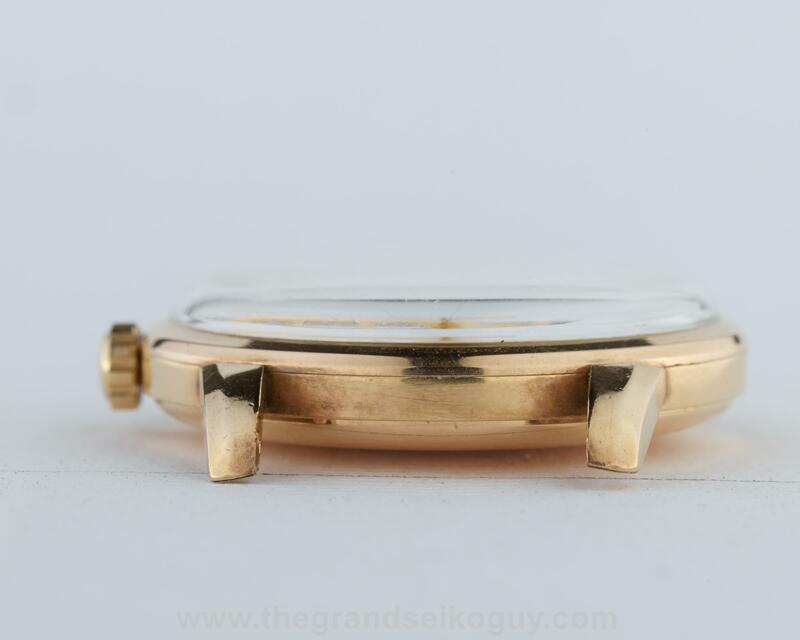 The dial is in excellent overall condition, with minor abrasion around the carved logo that can be clearly seen in the images.